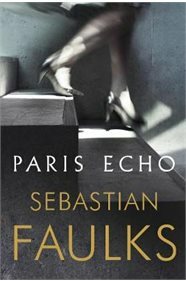 "`Faulks is beyond doubt a master' Financial Times Here is Paris as you have never seen it before - a city in which every building seems to hold the echo of an unacknowledged past, the shadows of Vichy and Algeria. American postdoctoral researcher Hannah and runaway Moroccan teenager Tariq have little in common, yet both are susceptible to the daylight ghosts of Paris. Hannah listens to the extraordinary witness of women who were present under the German Occupation; in her desire to understand their lives and through them her own, she finds a city bursting with clues and connections. Out in the migrant suburbs, Tariq is searching for a mother he barely knew. For him in his innocence each boulevard, Metro station and street corner is a source of surprise. In this urgent and deeply moving novel, Faulks deals with questions of empire, grievance and identity. With great originality and a dark humour, Paris Echo asks how much we really need to know if we are to live a valuable life. `Faulks captures the voice of a century' Sunday Times `The most impressive novelist of his generation' Sunday Telegraph"